Markenfield Hall and its encircling 600 acres of farmland and woodland have been entwined throughout the Hall’s 700 years of history. The boundary of the estate very roughly marks the boundary of Parish. We know that there was an outer moat as well as the surviving inner moat. 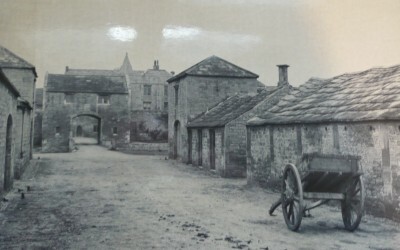 There was also a Mediaeval Village to the south of the Hall that would have housed – amongst others – farm workers and servants serving the Hall. Now known as “The Lumps and Bumps field” this site is scheduled as an Ancient Monument and cannot be ploughed as the rest of the land. Hence cattle are kept on the land. Little is known of the workings of the farm until the Hall was confiscated after the Rising of the North in 1569, and what we do know has been deduced from archaeological remains and what the land can tell us. 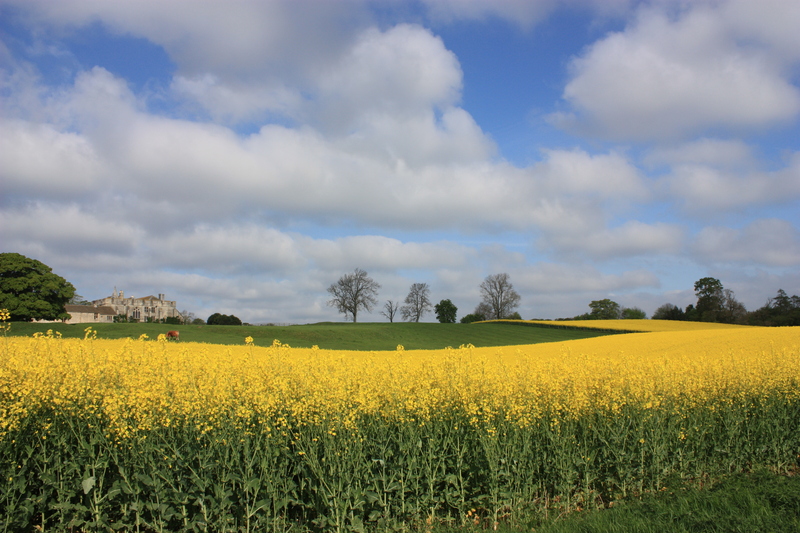 The remaining acreage is arable and a variety of grains and seeds are grown on the land throughout the year. More is known about the Farm post 1569 when the Hall was in the hands of the Gates and Meres families and lived in by a series of tenant farmers and their families. 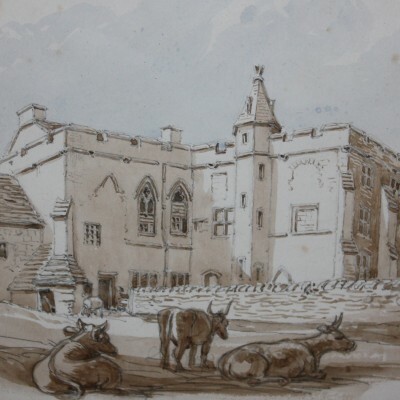 There are various historical records pertaining to this time, including records of the Hall and surrounding land being divided between two tenants and the painting on the front of the Hall’s guidebook, which was expertly drawn on 20 September 1823, shows a dividing wall running down the centre of the Courtyard. The Hall’s current tenant farmers are the Foster family who have lived here since 1882, in line the seventh tenant family we know of. They lived in the Hall itself until 1960, when the late Lord Grantley modernised the East Wing for the tenant at the time, Allan Foster, who then moved into this new Farmhouse. His son Andrew Foster is the present tenant, the 6th member of the family to have held the tenancy.